Indeed, to avoid a no-deal Brexit, UK Prime Minister has written a letter to the EU Council President, Donald Tusk, to ask to postpone it. Theresa May is asking for an extension until June 30th with an immediate revocation clause of the extension, if an agreement was found before in London’s Parliament. In short, a flexible extension, or “flextension”, as BBC had anticipated. In the letter, she says United Kingdom will inevitably begin preparations for the European elections of 23-26 May but, at the same time, reserves a last-minute right to cancel them, the 22th of May, if London could find an agreement to leave the EU, even paying a ticket. However, rumours say that Mr. Tusk and the European Union would also agree to grant a flexible extension, but in theory not less than 9-12 months, well beyond the limit set by May on the 30thof June. Basically, a clash looms over the postponement’s timing and it will be a decisive contention because if there is no agreement between London and Brussels then the United Kingdom would leave the EU with the No Deal. As reported by the CNN, on Friday, in a statement by France’s new European Affairs Minister Amélie de Montchalin declared her concerns. “In the absence of such a plan, we would have to acknowledge that the UK chose to leave the EU in a disorderly manner,” she said. And she’s not alone expressing heavy opinion about what is happening between London and Brussels. Indeed, Dutch Prime Minister Mark Rutter said that it “raised many new questions”. We hope there will be more clarity from London before Wednesday”, adding that he expects “intensive discussions in the coming days”. “If we can help to avoid a hard Brexit, this would be our preference. However, that’s up to London, not Paris or the Netherlands,” Rutte told reporters. If you want to get a huge glance over the issue there a video and an article both by BBC, where it is explained in a very comprehensive manner especially about the so called “backstop”, defined as: “the last resort to keep an open border on the island of Ireland – whatever happens in the Brexit negotiations”, a kind of safety net to avoid the hard border and the flaring up of old and bloody strains. Here a little tip. When you will look at it, time could be already gone, and this pic could be already out of date. However this image from The Guardian illustrates the “Brexit State of the Art” and various scenarios until the next EU Council on the 10th of April in Brussels. 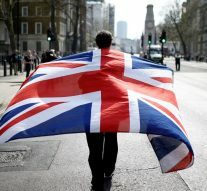 « Previous Article Brexit: a new reality before next EU elections?